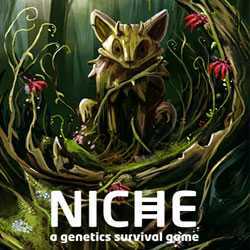 Niche a genetics survival game is a Simulation and Strategy game for PC published by Team Niche in 2016. Make changes in the nature! This is a game that gives you the opportunity to create your own animal tribes. Then, You have to find an appropriate place for them to live.